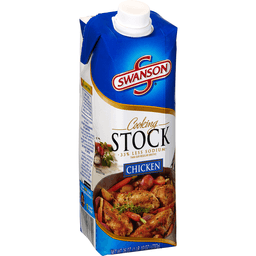 Swanson® Chicken Cooking Stock. 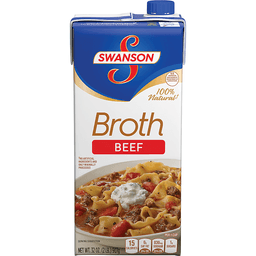 33% less sodium than our regular broth*. All natural. 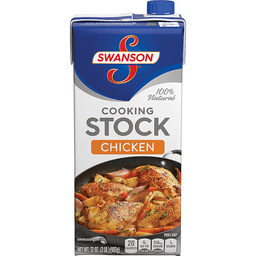 Swanson® Cooking Stock adds rich, delicious flavor to any chicken dish, sauce or gravy. 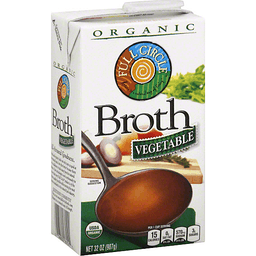 This all natural, full-bodied stock is lower in sodium than our regular broth* and made with farm-grown vegetables. 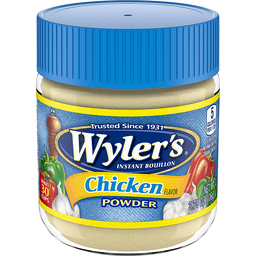 It's the secret to help you create more flavorful dishes! 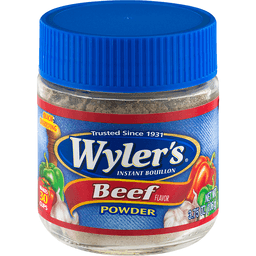 Great for slow cooker recipes. 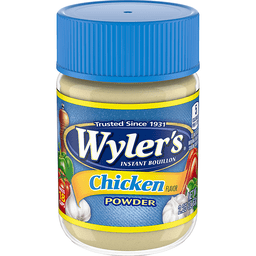 Basting for moister, more flavorful roast chicken. 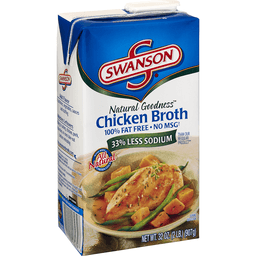 Basting with Swanson chicken stock makes roasted poultry more flavorful, moist and tender. 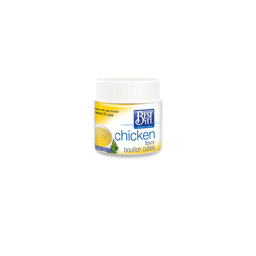 It's the secret to juicier, richer tasting chicken. For more recipes, go to www.swansonstock.com. 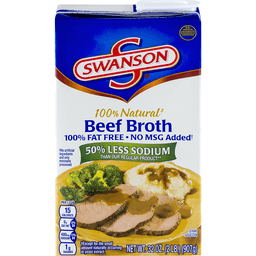 *Regular Swanson chicken broth contains 960mg sodium per serving. 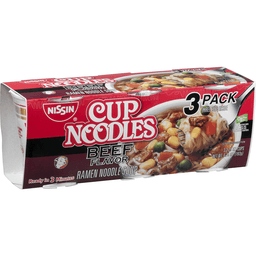 This product contains 510mg sodium per serving. 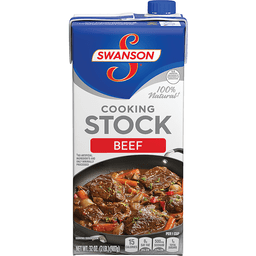 Swanson is committed to providing products of quality and value. If you have questions or comments, please call 1-800-44-BROTH. 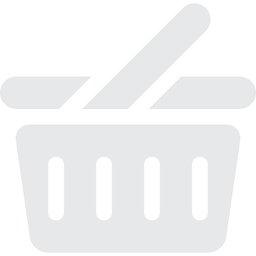 Please have code and date information from container. 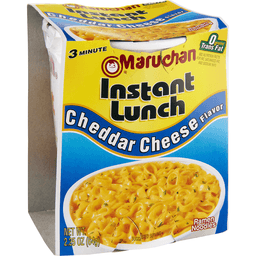 Quality foods. 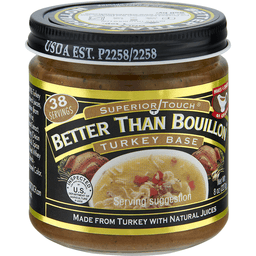 33% less sodium than our regular product (Sodium content reduced from 850 mg to 560 mg per serving). 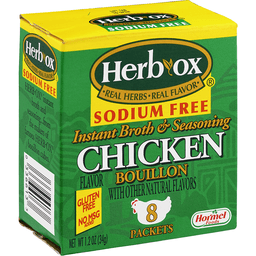 Box Tops for Education official brand. 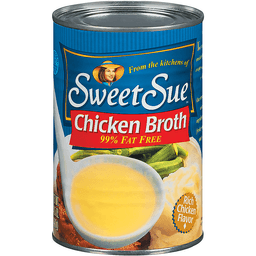 Per 1 Cup Serving: 20 calories, 0 g sat fat (0% DV), 560 mg sodium (23% DV), 1 g sugars. 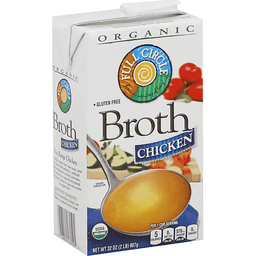 Progresso broths are made with care and quality to bring rich and savory flavor form our kitchen to yours. 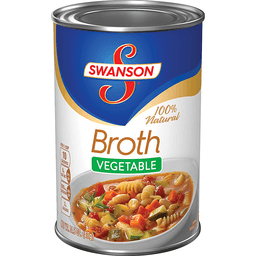 Use Progresso Reduced Sodium Chicken Broth to add flavor to homemade soups, stews, and so much more. 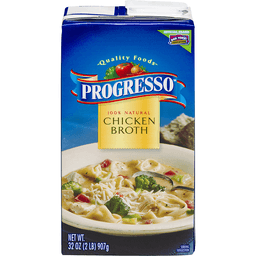 Making quality foods and soups has been our passion at Progresso for more than 60 years. Here's to eating well - mangia bene! 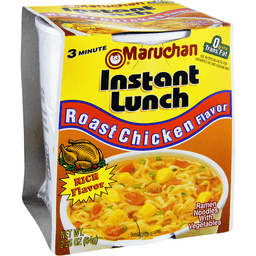 Visit Progresso.com for more great recipe ideas. 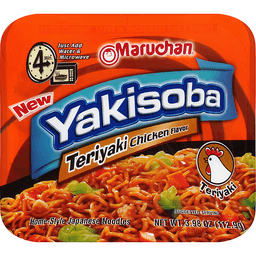 No preservatives, no MSG added (Except that which naturally occurs in yeast extract), fat free, no artificial flavors, gluten free. 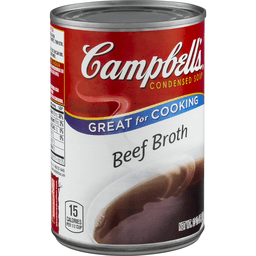 For recipes and usage tips. 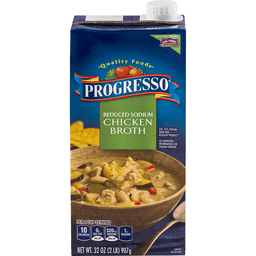 Visit our website at www.Progresso.com. 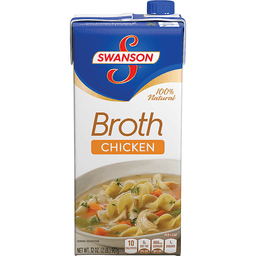 Progresso™ Chicken Broth. 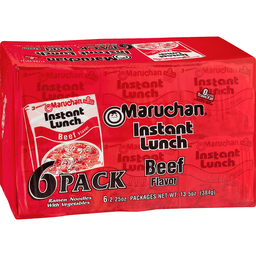 Official brand. 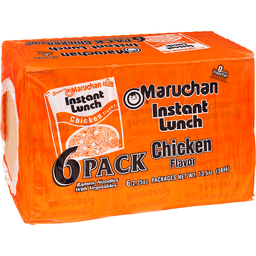 Quality foods. 100% natural. 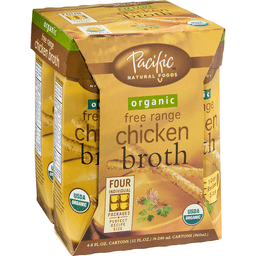 Progresso broths are made with care and quality to bring rich and savory flavor from our kitchen to yours. 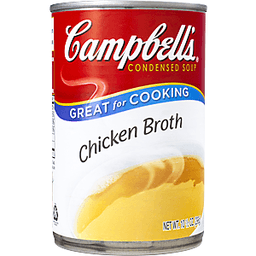 Use Progresso chicken broth to add flavor to homemade soups, stews, and so much more. 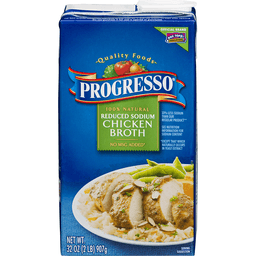 Making quality foods and soups has been our passion at Progresso for more than 60 years. Here's to eating well... Mangia Bene! 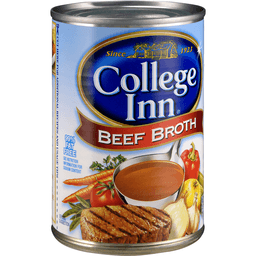 Visit progresso.com for more great recipe ideas. 100% natural. No preservatives. 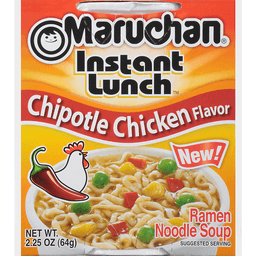 No MSG added*. 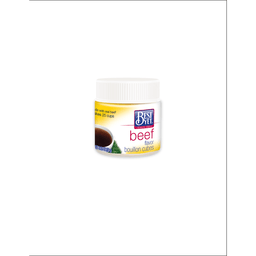 Fat free. 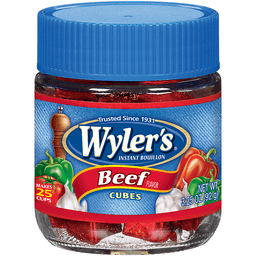 No artificial flavors. Gluten free. 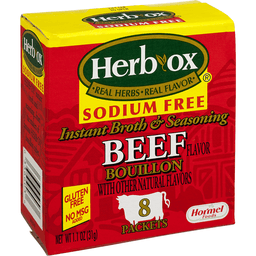 See nutrition information for sodium content. 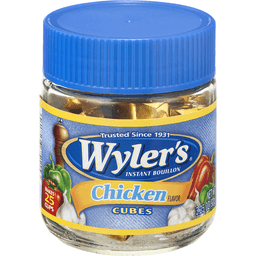 *Except that which naturally occurs in yeast extract. Gluten free. 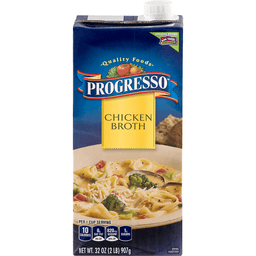 Questions, comments Save carton and call 1-800-200-9377 weekdays 7:30AM to 5:30PM CT. For recipes and usage tips, visit our website at www.progresso.com. 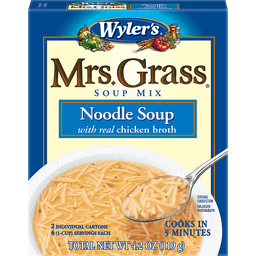 ©2012 General Mills. ©2012 Pet Incorporated.